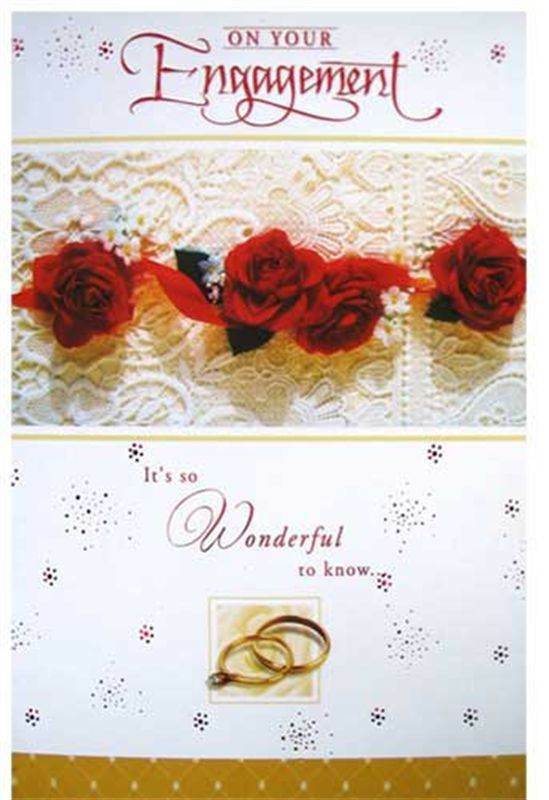 Front Message: On your Engagement It's so wonderful to know. Inside Message: That you've decide to spend your lives together....We wish all your dreams and hopes are fulfilled in the years to come. Congratulations!